Gardening is a real hobby, and like all hobbies, it’s easy to get carried away. Even after you have the necessary tools and supplies, there are always new plants, new hats and gloves, and new gadgets to try. But that doesn’t mean your garden has to drain your wallet. Some of the best gardening tips don’t cost a dime, while some save you money for seasons to come. Here are my10 no-pain-always-gain ways to save money while gardening and still have the garden of your dreams. It’s so obvious that our current gardens are compost goldmines and completely free. But, incredibly, many gardeners let this mother lode (their garden clean-up) go to waste. 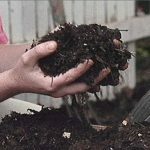 At the very least, mowed grass and leaves piled in a corner of the yard eventually will become compost. Stop bagging those needles and leaves and dragging them to the curb in the fall. Dried leaves make an excellent compost in as little as one season. Half-rotted leaves are called “leaf mulch,” and there is nothing like a layer of leaf mulch on your garden to attract earthworms and all kinds of beneficial insects and organisms. That’s what nature does in the forest. And it’s much cheaper than buying bags of shredded cedar bark. The price of a packet of seed keeps going up, but so does the cost of plants. Seeds are still the best deal in town. You can grow dozens of annual plants for a fraction of what you would pay for a 6- pack of the same flowers. Begin with annual flower and vegetable seeds; perennial flowers from seed will try your patience. Most perennials take 2-5 years before mature enough to bloom! Because seed packets almost always are more than a gardener can use in a season, try setting up a seed exchange with gardening neighbors and friends. It will increase the variety of blooms in your yard/garden without having numerous left-over packets of seeds. The savings from growing vegetables from seed can pay for the rest of your garden supplies, mulch and all. This is a dramatic money saver even if you only pay for electricity to pump from a well. Irrigation systems are composed of a lot of little pieces, making them seem very complicated and expensive, but truly are neither. All those pieces just snap together as you lay out your system in the gardens. 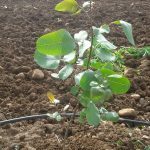 Even drip irrigation that is programmed to go on several times a day will use less water and money than a good soaking with a hose. That’s because less water is lost to evaporation, and less water is consumed because what is used regularly is going straight to the roots. You save money, and your plants are happier. Take seed-starting a step farther and become a seed saver. Open pollinated plants grow true from their seed. Heirlooms and old-fashioned flowers are good candidates. 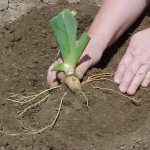 You can also multiply your plants by rooting cuttings and by dividing perennials from your or friends’ landscapes. No law says you have to wait until a perennial “needs” dividing before you divide it. Divided younger plants may start out small, but they catch up fast. Plants are priced by size. It’s nice to have an instant garden, but if you’re trying to save money, buying smaller sizes can cut your bill by two thirds. Another option is to buy one sizable perennial plant and divide it immediately into two or three smaller plants. Plants like irises actually bloom better when divided and spread more quickly throughout the landscape. Bulk purchasing always cuts costs. Bulbs, in particular, are a real bargain when you buy large quantities. But who really needs a 1,000 daffodils? If you have 5-10 friends willing to go in on a large quantity purchase, the cost is divided, and you still have a broad swath of daffodils in the yard at a fraction of the cost. You can also go in with a couple of friends and buy an extra large plant, then divide it so that you each get a piece. This is a smart way to get pricey, unusual plants at a bargain price. Bulk buying also adds up to significant savings for things like mulch, fertilizer, and plant stakes. We throw away a lot of things that could serve other purposes in the garden. Newspapers make great weed barriers. Shredded paper is even good at the bottom of containers, to help retain moisture. Bottles of all sorts can be used as protective caps to get seedlings through cool spring nights. Egg cartons and yogurt containers are great for starting seeds. The cardboard rolls from paper towels and toilet paper can be used as cutworm collars. And if you have a good salvage yard near you, it’s a great place to look for cages, stakes, and great supports for climbing plants. You may even find interesting containers. Host a plant swap with your gardening friends. Everyone has too much of something. While you’re dividing and redesigning in the spring, have everyone pot up some extras to exchange. A tag with the plant’s name, color, and growing preferences can be an incentive to a buyer. It’s also fun to have gardeners show and tell a little about the plants they brought. This is a beautiful way to build some memories with your gardening friends. Antique prices are sky high, but bargains abound at yard sales. 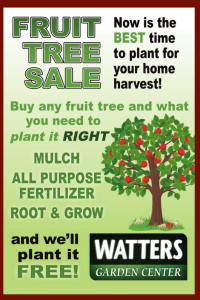 Some of your neighbors stopped gardening years ago, and when they finally clean out their garages you can find some deals. Many of the older tools, buckets, netting, pots, and gloves are better quality than the imported stuff offered at Box stores. Once all this used garden equipment is found and placed in the driveway, no one wants to drag it back into the garage for another sale, so prices are usually pretty reasonable and often negotiable. You may be the one who should be having a yard sale. I mean really, how many pruners do you need, anyway? Have a yard sale and designate the proceeds to your garden. Water is one of those garden expenses we don’t really notice until the bill arrives at the end of the month. Yet a garden can go without water for a long time. A rain barrel has got to be one of the most natural garden tools to use. You insert your drainpipe into the hole in the barrel and wait for rain. They’re making it even more tempting these days with some beautiful rain barrels designed to complement different house styles and materials. Re-directing your faucet or washer isn’t just a money-saver, it’s a water saver. This just makes sense in drought-prone areas. 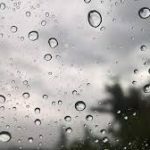 It takes a little work to re-plumb your gray water, so you will probably want to call in a professional, but the savings are dramatic and long-term. For seasonal businesses sales drop through the winter. Garden centers maybe not as seasonal as a Halloween shop, or Christmas décor store, but we do experience that drop. Our goal is to be down to the most essential landscape materials, evergreen shrubs, and the showy trees of fall and winter. It costs a lot to water and maintain plants to be held over for the next spring season. We would rather discount them heavily and give our loyal customers a deal at the end of the season. This transition has already begun and continues through Labor Day. Snap up these bargains fast because they don’t last long! It’s a good time to take home that pottery, garden art, or privacy hedge you just couldn’t afford otherwise. 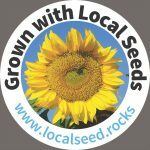 Simple Seed Saving ~ August 18 9:30 – 11:00 a.m. Ground Covers, Vines, Erosion Control ~ August 25 9:30 – 11:00 a.m. Tired of looking at that brown, barren hill behind your home? Soften that sharp-edged rocky look with these easy-to-grow alternatives to a grass lawn. These fast-growing plants stay low, tight, and withstand summer heat with minimal care. A few plants go a long way when students know which plants to use locally. 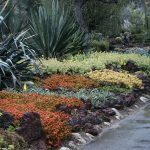 Learn which shrubs, herbs, and vines will soften all that rock, keep soil from eroding, all while presenting an attractive landscape. If you can’t attend this class, watch the Livestream on Facebook. Like our page to be notified when we go Live. 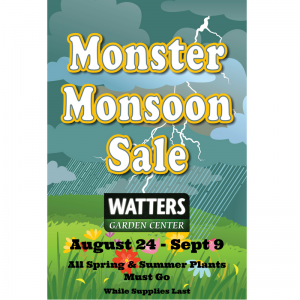 Until next week, I’ll be here at Watters Garden Center helping local gardeners to grow REALLY BIG flowers.